SCVHistory.com LW3333 | William S. Hart | 'The Toll Gate' (1920): Publicity Photo No. 100-41. 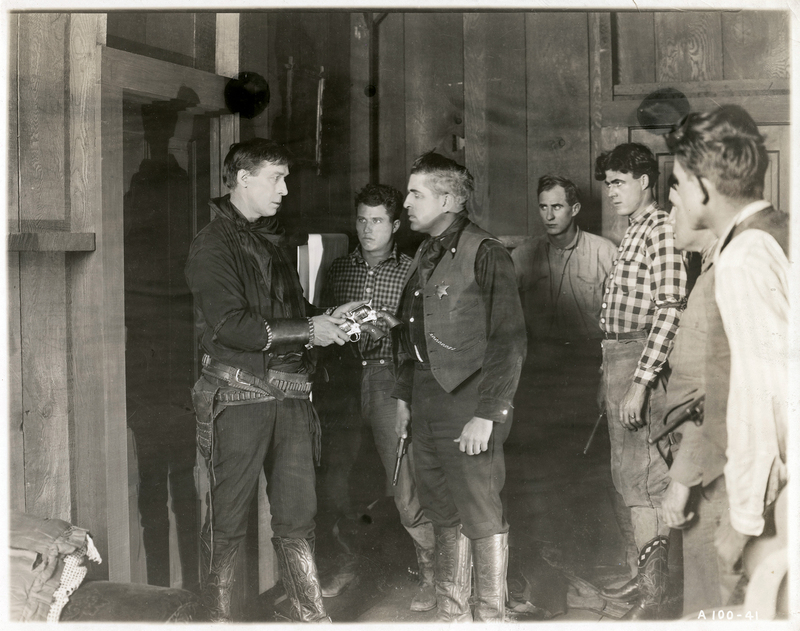 "Two-Gun" Bill Hart (as Black Deering) hands over both pistols to the sheriff (Jack Richardson) during one of several climactic moments in "The Toll Gate." Original 8x10 publicity photograph, mounted on linen. Still No. A100-41. LW3333: 9600 dpi jpeg from original photograph purchased 2018 by Leon Worden.